Love requires action, as love is action - action on behalf of someone else. It is find and dandy to say we will love selflessly, but it is a much harder walk to actually live selflessly - long term. We have all had experiences where we acted selflessly - letting someone cut in line, or have the last piece of chocolate cake, but to live selflessly is a real challenge to our inner selves, because we are, by nature, selfish. January has given me many opportunities to love, and many times I have failed. On other occasions I have succeeded, but only by God's grace. Let me tell you just a little about how this month has gone. First Kurt, and then Arlene, each had the nasty cold that is circulating this winter. I'm sure you're encountered it. It makes their heads ache, their noses run, and they cough as though they want to rid themselves of a lung or two. Thankfully - it was not the flu. This gave me 10 or 11 days of taking care of sick ones, while still going to work, cooking food (because my trusty assistant was sick) and doing chores for other people because they were too ill to do them themselves. On some of these days I had compassion and love, and on others, I could not wait to get out the door for work and leave Emily to deal with it. Sorry Em! At the beginning of the year, God prompted me to read Charles Sheldon's book In His Steps again. This fictional novel written in 1896 is well known as being "that book against liquor," but is also known because of the question it asks: What would Jesus do? In his book, Sheldon tasks his characters with asking in every instance, what would Jesus do if He were in my situation, and then will I choose to do it, or to turn my back on God's calling and follow my own selfish ways? Although the town of Raymond and the story is fictional, it reminds me every time I read it, that it matters not what others think I should do in a situation I face, but what God wants me to do. 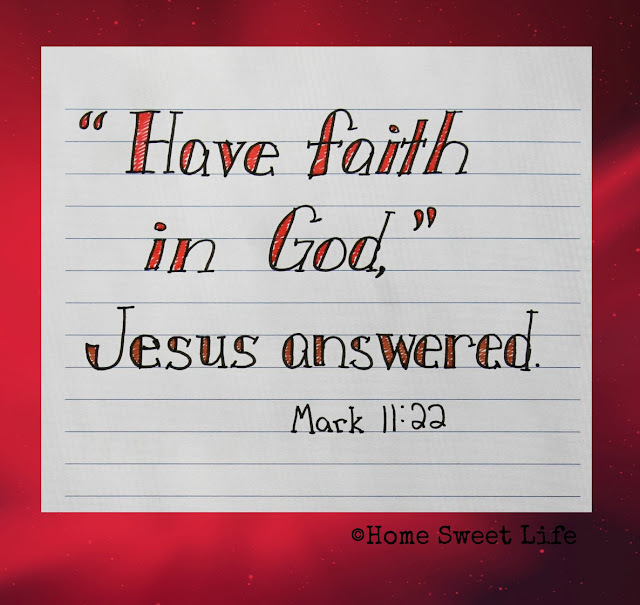 How do I walk in the steps of Jesus? How can I be obedient? At the same time, our pastor has been having a series about turning our focus from what we do for God, to how we become more like God. How do we change our focus from accomplishing tasks to becoming more like Christ? Are you seeing a theme here? Yeah, me too. God has constantly reminded me this month that regardless of what I face, He is here, and He wants me to be obedient to His calling. 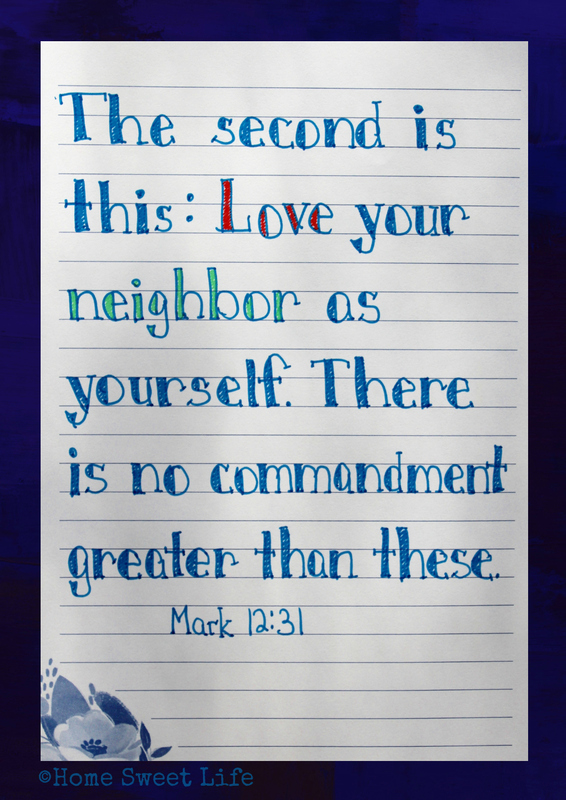 I am not left here on this earth to make lots of friends and enjoy a lush lifestyle, I was placed here to do God's work by becoming more like Jesus so that others could see His work in my life and want to know more about how Jesus has changed me. Oh the challenges I have faced this month! Most of them are not ones you would see from the outside. Rather, they are the inner struggles to choose to be selfless in the face of another person's anger, to be selfless in the face of heart pain, mental anguish, unkind words, bad drivers. Will I choose to love those around me even when they are trying their hardest to be un-loveable? I can, I must, for nothing less will transform me in who God is calling me to be. Will I stop complaining about the cold, the lack of help around the house, or my desire to run off somewhere and write instead of helping a child with their schoolwork? I truly hope so. 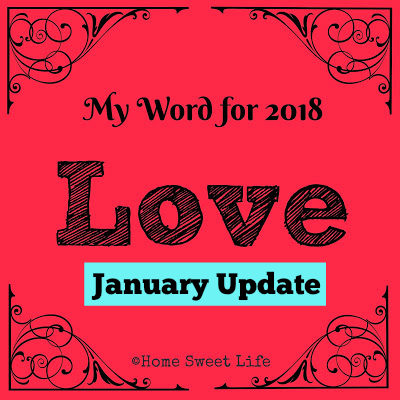 I don't think my life this month had been any more difficult than in the past, I think it is because I am paying attention to the Spiritual warfare going on all around me that I have felt the struggle so much more deeply. Has my pride been hurt? Yes. But since my pride always stands in the way of becoming more Christ-like, it needs that trampling. 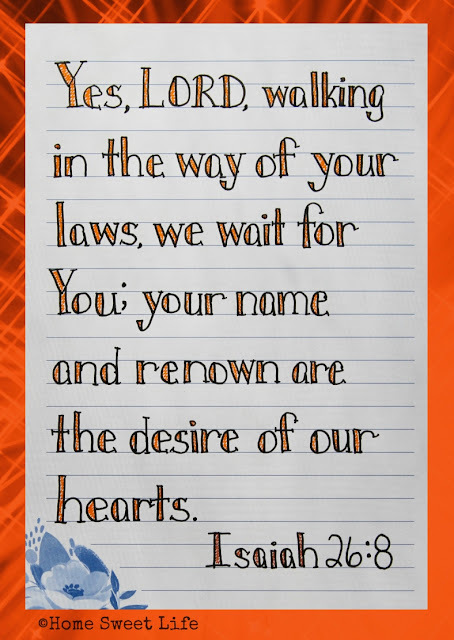 I cannot want my way more than God's way. 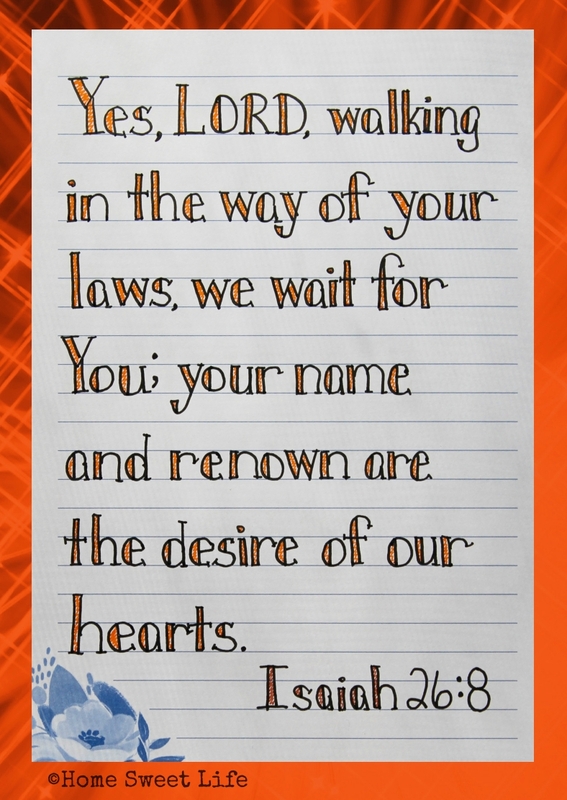 If I truly desire to want to be obedient, then God can transform my desires to match His. I will no longer be conformed to the world. Oh how clearly I see my need of that transformation! You see, this world comes at us from all sides. Our Enemy is crafty and knows our weaknesses. Our only hope in in Jesus. We must draw near to God to be able to resist the devil. We need to be in prayer more than we are on our phones. We need to choose to speak love in the face of trails. We must choose to love those around us, on their good days, and especially when they have bad days. For each of us is facing a trial of some kind. My heart is not the only one that was bruised this month by someone else's unkind words. Too often I forget that each member of my family has their own cross to bear. While I must carry my own cross, it is imperative that I do not make theirs any heavier than it already is! Another thing I have learned this month, is that I am often the one with the wrong ideas, and the wrong intent. While God has given me a peace about the future that I have never had before, He had also chastised me when I am wrong. There is a definite check in my spirit when I have chosen the way that is not love. It is like a bit in a horse's mouth that jerks me back and gets my attention. It is most unpleasant and requires a lot of soul searching to figure out where I went wrong and where God wanted me to go instead. How about you? What has God done this month to transform your life? How is He challenging you to follow in the steps of Jesus? Summary: Meet Mr. Revere, a substitute teacher who loves history, and his time traveling and talking horse - Liberty! Mr. Revere has recently been hired by Manchester Middle School to teach its honors history class while the regular teacher is out. Well, when Liberty comes in while he is teaching class, Liberty and Mr. Revere immediately become the kids favorite history teachers. After class lets out, however, Tommy (the class clown, and school football team's star quarterback, who hides how smart he really is to stay cool), and Freedom (a shy, artistic, Native American girl who loves animals) find out Liberty can do more then just talk. When they find out he can travel through time they are super excited. Freedom has to go home that day but Tommy and Mr. Revere go back in time to meet the Pilgrims that they learned about in class. The next day Freedom goes with them and they have lots of fun learning about early American history. What I liked about it: Well I know we did an official review for these last year but I love them so much that I simply had to do them over again here! I love these books because the characters are fun (both the ones from the first book and the ones that join the crew in later books), the places they go to and the historical people they meet are really cool! Even I, who love history, learned new things while reading them. Magic: Liberty is a magical horse, that is how he can travel through time but its not really gone into a whole lot. Recommended Age: Any! These books are clean and fun and as they can be used for learning and fun I would say that you might even be used as read aloud books even before or while your child is learning to read. 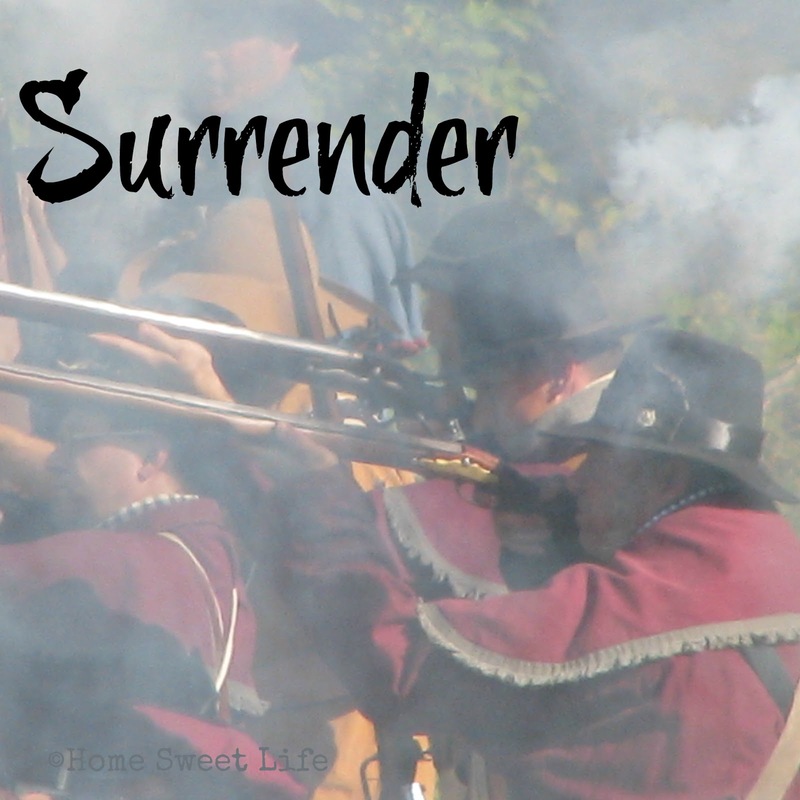 When the world thinks of the word surrender I imagine they often think of something like this picture. Going down in a blaze of glory, fighting tooth and nail to the last, and all the other clichés we have heard about fights, battles, and the raising of the white flag. To them, surrender means the end: to lay down your weapons, to give in, and the end of hope. To the Christian, the word surrender means something entirely different, and should be filled with hope. 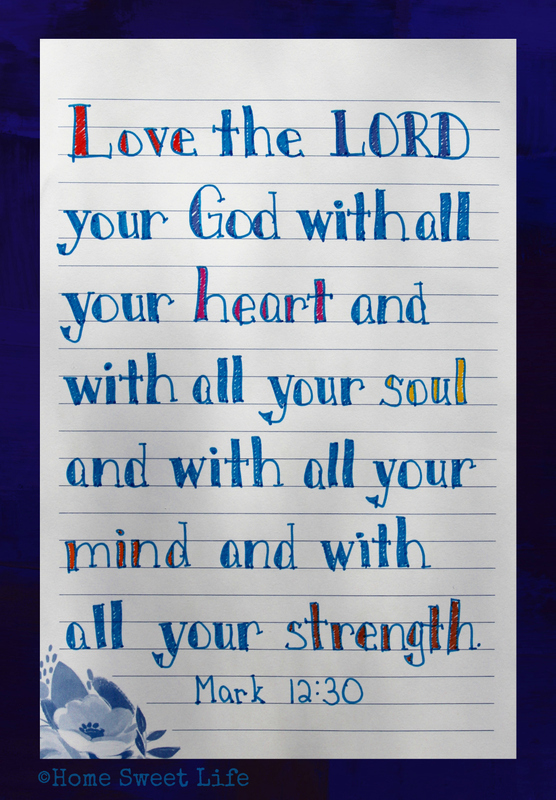 Surrendering to the will of God and living a life that honors and glorifies Him is the ultimate act of surrender. We lay down not weapons, but our pride, and acknowledge our need of Him. We continue in battle, not for ourselves, but for the souls of others. We battle the unseen forces of darkness through prayer. Our white flag that we raise is the sacrifice of Christ upon the cross, and our lives become filled with hope of a better life - not here - but the eternal one that awaits us. For one of our friends that battle ended this week. He is seeing the face of God. He is witnessing the angels as they bow before the throne. 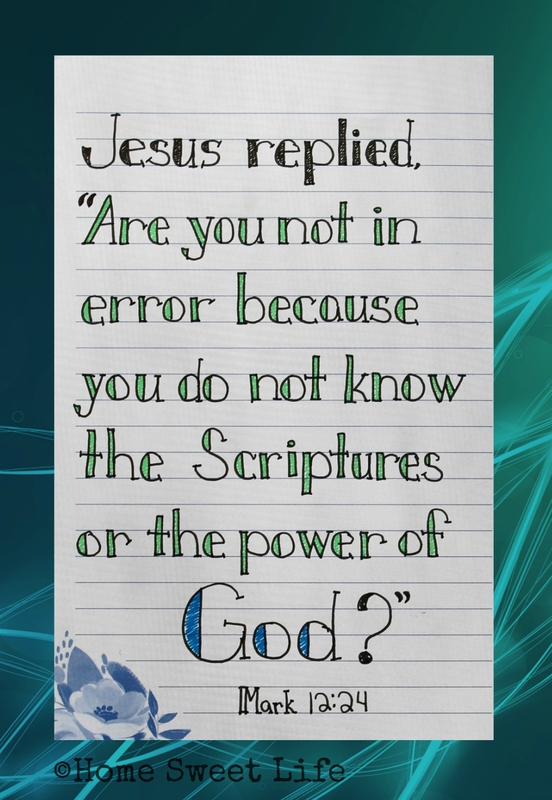 John's life was one of surrender. He gave his life in service to others, first as a military man, and then as a friend. He was always one to bring joy to others, he was always ready to lend a hand to meet a need. 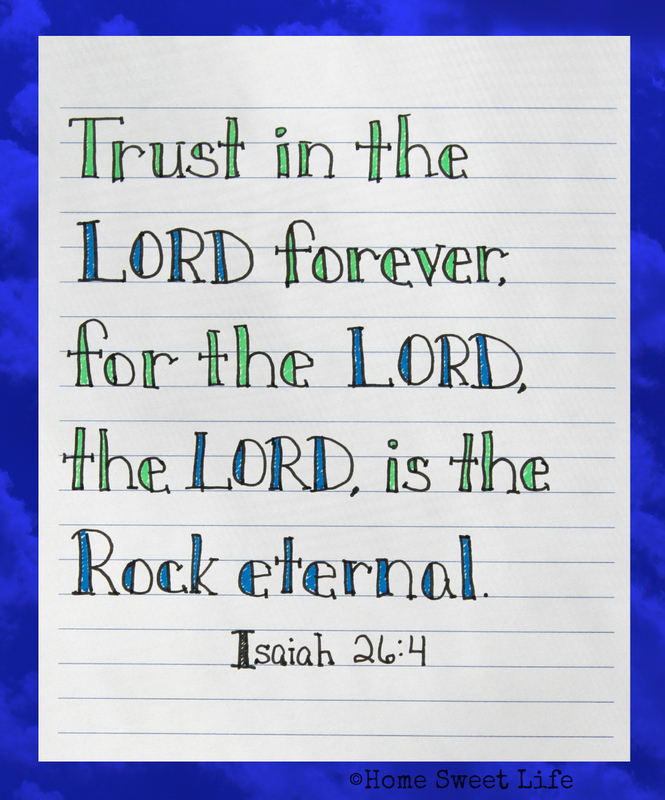 His life was a testimony that surrender to God's plans is never a loss, but always a gain. 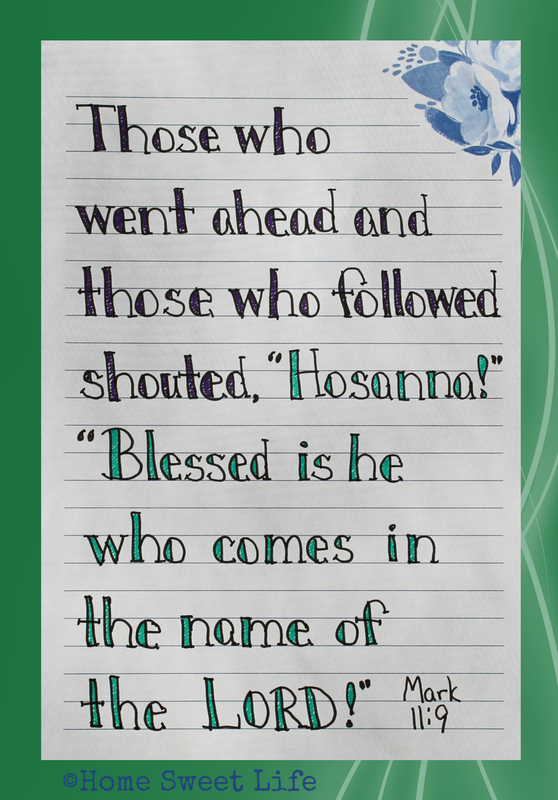 His hope in Christ has been fulfilled. His battle is over. May we learn from examples like his that surrender to God's plan for our lives is the way to peace. Last week of the SchoolhouseTeachers.com Fresh Start sale & get your print edition of The Old Schoolhouse magazine Winter edition! 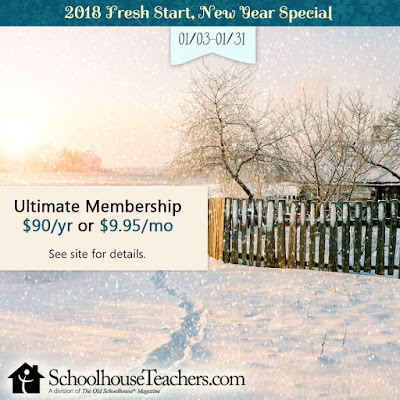 With just one week left in the Fresh Start sale over at SchoolhouseTeachers.com I wanted to give you a another peek into the vast resources that can be found with a Yearly Membership. Over 7000 families belong to SchoolhouseTeachers.com and with good reason. There are a wealth of courses covering a broad range of subjects that truly do make it a one-stop shop for your homeschooling family. Let's talk about history as our example for today. I know lots of homeschooling families that love to study history. On SchoolhouseTeachers.com you can find short, simple history lessons, as well as in-depth, upper grade courses. There are more than 40 History, Geography, or Social Studies based Unit Studies available to choose from. What if you are not a Unit Study kind of family? No worries! There are more traditional, as well as Classically taught History courses as well. 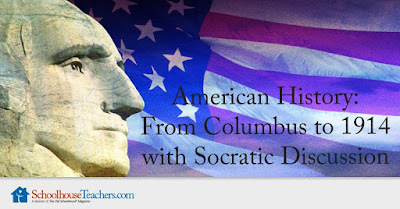 American History: From Columbus to 1914 is a 32 week American history course that is taught using Classical Principles, including Socratic Discussion, and is designed for middle or high school aged students. But what if, you just want an educational video to watch, either because: someone is sick and is going to lay on the couch all day, or: you are all burnt out on winter already and want a change of pace? May I suggest the American History videos from Drive Thru History? There are 12 half-hour episodes, and SchoolhouseTeachers.com has purchased the license to stream these for all Yearly membership members through late July. Dave Stotts of Drive Thru History is one of Arlene's favorite teachers. He makes learning history fun, and funny, through his engaging presentation style and personal humor. I could go on about history, but I won't today. 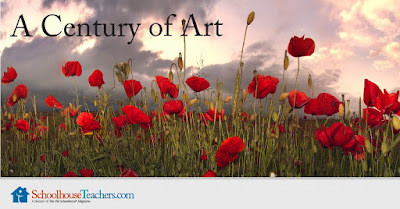 Hop on over and check out the variety of courses, videos, and homeschool helps available on SchoolhouseTeachers.com. If you sign up during the Fresh Start sale, you can get the Ultimate Annual Yearly Membership for only $90 for the entire family. Not only is this half-off the regular price, but if you choose the auto-renew option (which you should, because you can always cancel it if you change your mind) then each year you continue as a SchoolhouseTeachers.com member will renew at the lower $90 rate. This offer is good for new memberships purchased by 1/31/18. 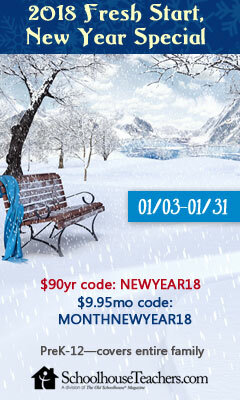 Use coupon code: NEWYEAR18 for the Annual Membership. Or, if You still aren't sure, you can use coupon code: MONTHNEWYEAR18 to get the discounted monthly rate of $9.95 which is also available with the auto-renew option. We have been members of SchoolhouseTeacher.com for about five years. It is a resource I always have available when we need it. 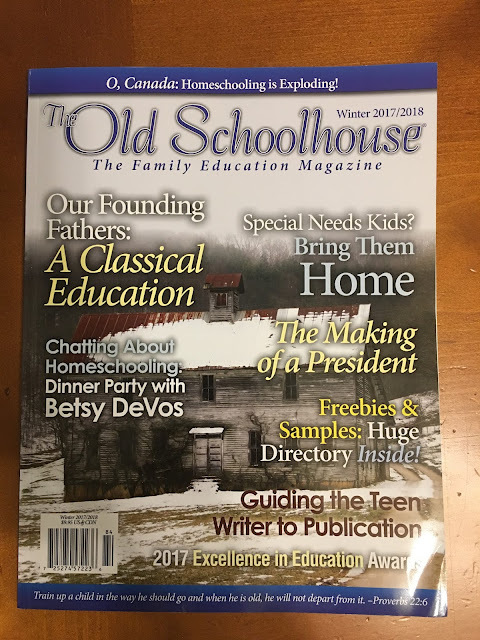 When you purchase the Ultimate Annual Membership you have access to all the courses, for all ages, plus all the parent/ help tools, AND, anyone who purchases the Ultimate Annual Membership before the end of January will get a copy of the just-from-the-printers Winter 2017-2018 Print Edition of The Old Schoolhouse magazine! My copy arrived yesterday, and it is 168 pages of homeschool advice and encouragement! Arlene and I have already pegged the Guiding the Teen Writer to Publication article as our first must-read! Remember - do not delay! The Fresh Start Sale at SchoolhouseTeachers.com ends on January 31st! Dragonflies are beautiful creatures, but they rarely stay still long enough of you to focus your eyes on them, much less your camera. This one had alighted on the thumb of our friend Kevin, a local botanist, while we were gathered to start a group canoe launch down our local river. Our river has been threatened for several years now by a group of people, mostly short-sighted locals, who think that building a reservoir would be the answer to all of our area's economic woes. We do not agree, and because there is such varied wildlife along the proposed stretch of river, our group had chosen this Spring day to do a group canoe trip down the river. We wanted to enjoy the day on the water, and to try to remind others of what would be lost forever if the reservoir was built. Emily and Kurt were going to join the float, Arlene and I were going to be cheerleaders, and enjoy the time photographing the wildlife from shore. As we were waiting for everyone to finish getting ready this dragonfly stopped on Kevin's thumb. That did not surprise anyone, as Kevin is very attuned to the local nature, and always find the best critters when we take group hikes. Kevin is the type that can rattle off the Latin name of the dragonfly as easily as he can call Joe - well, Joe. It's just a part of who he is. The canoe trip ended up being a wonderful day. Kurt and Emily learned some new teamwork, and Arlene and I surprised them about halfway through their trip when they reached our chill out spot - a sandbar in the river as it winds through the local state park. We saw a lot of wildlife - including a pileated woodpecker - while we waited for them. We also had a nice, quiet, relaxing day. 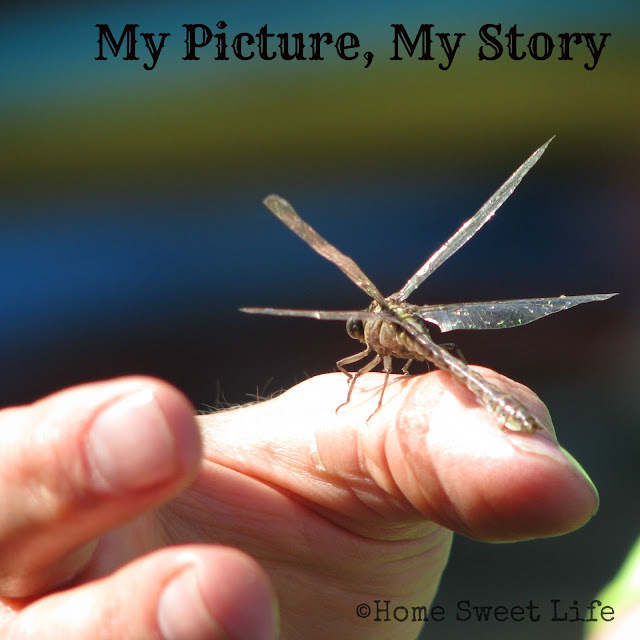 I have a lot of pictures from that day: trees, birds, canoes, the river... and this dragonfly. This dragonfly photo stands as a reminder of all that we still have around us with our free-flowing river. It reminds me of the canoe trips we have taken down the river as a family. It reminds me that some things are worth fighting for. It also reminds me that God places beauty all round us - if we will only look for it. January is in full swing and all of the sudden... you realize... your child is going to graduate this year! ACK- what do I do now?!? Do not fear dear parent - this has happened before - to thousands upon thousands of homeschoolers - and there is help available ! One of the defining moments in a person's life occurs when they graduate from high school. For those in the public schools, this is a large ceremony with caps and gowns, formal diplomas and sophisticated graduation announcements. Far too often, for those who have chosen to homeschool their children - graduation is a rather unimpressive time. This should not be the case! We have spent years investing in the lives, hearts, and minds of our children, and now it is time to mark that achievement. Graduation should be a time of celebration, of memory making, and of great joy! We chose to make a big deal about our daughter's high school graduation, and I'd like to take a few minutes to tell you why - and to encourage you to do something special for your graduate as well. Homeschoolers need a diploma. Not just a nod from Dad and Mom that "you're done" - but an actual diploma. Did you know that even in this day of technology, there are still jobs that require you to present your diploma as proof of graduation? Although this is not as common as it was 15 years ago - it still happens. But more importantly - your child - now a young adult - needs a physical reminder of what they have accomplished. They need to be able to find joy in the accomplishment of this huge task - this finishing of their childhood and the passage to adulthood that accompanies high school graduation here in the US. There is something else your graduate will need - an event to remember. Now, your event may be really small - only 20 people, or it may be really huge - 200 guests, but you need to plan some sort of event to mark this graduation, and use it to give them that diploma. 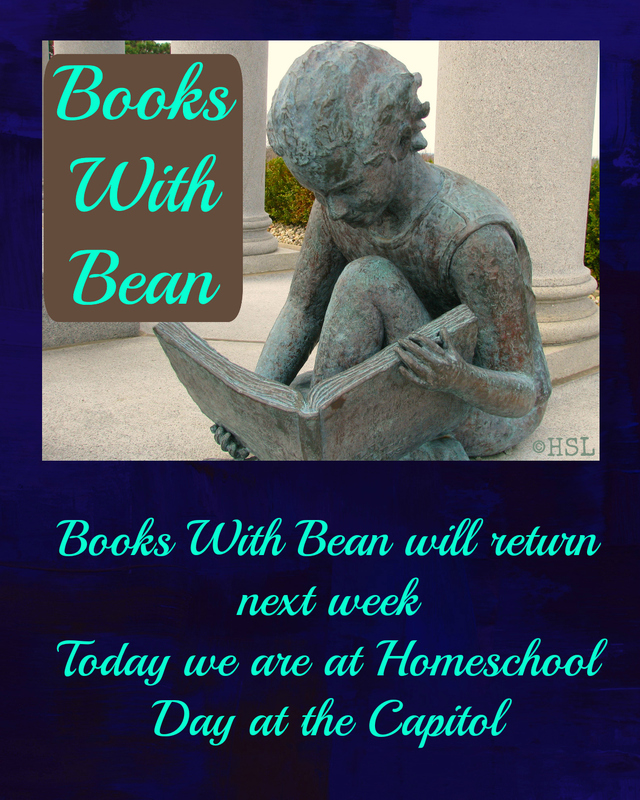 Too often homeschoolers fail to give their children this special event. It need not cost a lot of money, or require a lot of time - but you - the parents - need to take time to cherish this moment with your graduate. There are several options as to how to host your graduation event. Many homeschoolers have a group graduation ceremony - all the local (city or county-wide) graduates work together to put on a event similar to what public or private schools host. Another option is to have a private ceremony at your home, community center, or church that you invite family and friends to. But what if your graduate does not want a formal ceremony? Then work with them - not against them - and find a way to celebrate. Many times we have been invited to homeschool graduation Open Houses when there was no formal ceremony beforehand. At the beginning of the open house, the parents (or at least the Dad) stood up front with their graduate and said a few words before handing them their diploma. Sometime your graduate is really shy, and wants to invite their friends for a party - but does not want the speeches. Then consider having a family graduation time before the open house begins and tell them then how much joy their accomplishments have brought you, and then pray for your graduate and their future. But please - PLEASE - have some sort of event for your graduate. You have invested 12 or more years in their education, invest some time, and a little bit of money in this milestone. Make it a day for memories. Make it a day of celebration with family and friends. We have attended so many various homeschool open houses, and public school ones too, over the years that I want to share some of those ideas, and a way to announce them well. 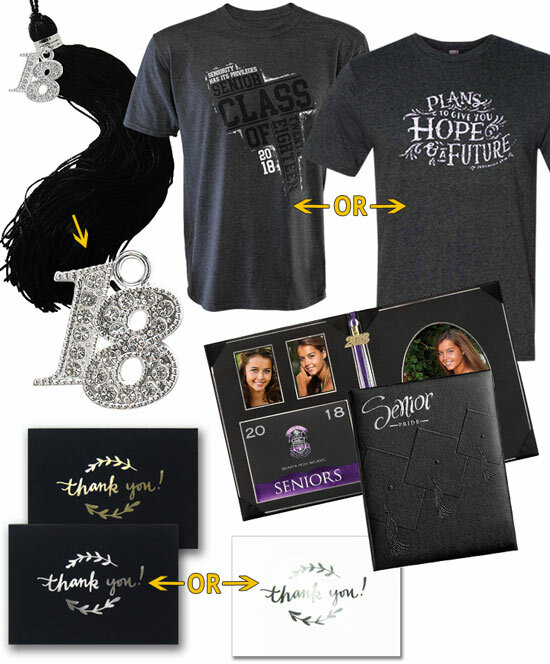 Graduation announcements are the first thing you will need to order, and the sooner you get started on it - the easier it will be. If you are joining a group graduation ceremony, you can either all order matching announcements, or you can order your own style (but include your graduate's personal flair to theirs.) When our oldest daughter graduated in 2016, we ordered her announcements from HomeschoolDiploma.com. They have a really wide array of styles to choose from. Over the years we have received many graduation announcements that I know originated from HomeschoolDiploma.com. Their Tri-Fold announcements and their Christian Education announcements have been the most popular. 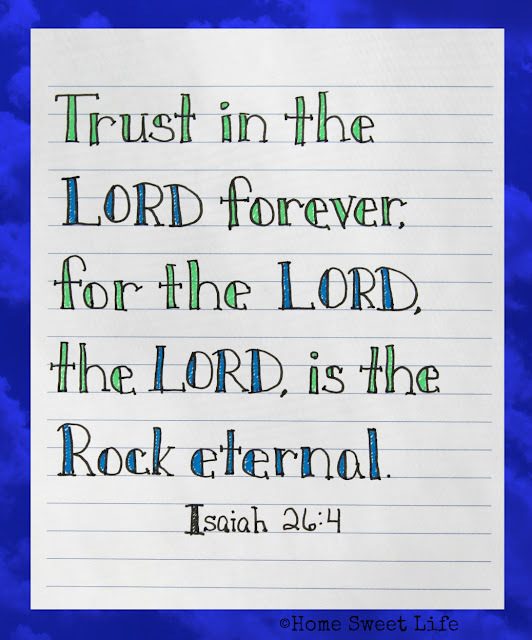 These cards are the classic styles you probably remember from your own graduation, but updated a bit, and these come with the option to include your own wording - so you can give the credit where it is due - to God. 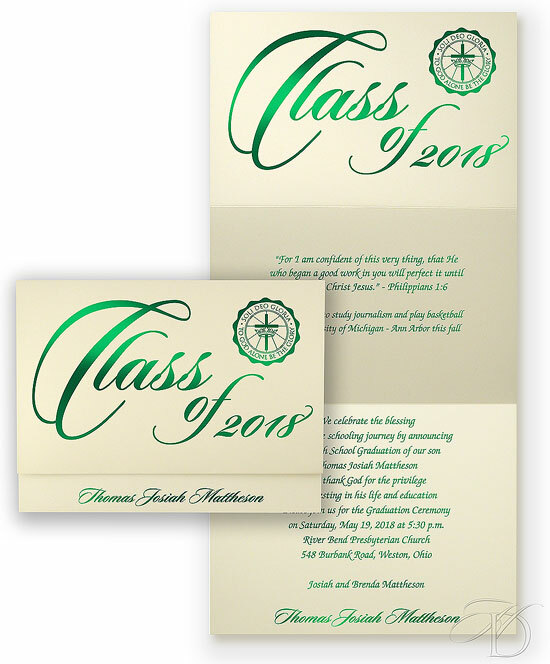 The Christian Education announcements open like a traditional greeting card, and have a slot for your graduate's name card (which is included in the price.) The Tri-fold announcements are the vertical style ones that unfold to reveal the details of the events and have the graduate's name in elegant script at the bottom. Both of these are priced around $3 per announcement, but offer discounts on orders of 30 or more. These volume discounts can lower the price to $1.88 a card for the Christian Education announcement, or as low as $1.14 for the Tri-Fold announcements . One of the best reasons we have found to use HomeschoolDiploma.com is that their graduation announcements are available in quantities as low as 20, with additional ones available by the 10's. They have a relatively new photo graduation announcement option. These are lovely and highly customizable, and are offered in groups of 25, with add-ons by the 5's. These options allow you to purchase as many, or as few announcements as you need, without breaking the budget. There are some important steps to take when getting ready to order your announcement, the first being this: make a list! We were on a tight budget when Emily graduated, but we knew it was important to make a big deal out of her graduation, so we opted for finger foods and an afternoon graduation party, instead of an evening dinner-style event. 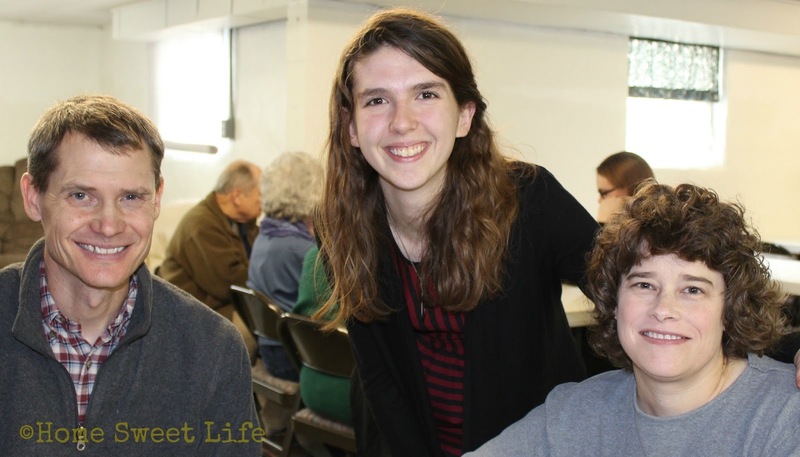 When we had made the list of who Emily wanted to invite - both family and friends, we looked at the various announcements on HomeschoolDiploma.com and decided to purchase their Simply Stated announcements for her Open House. Our budget would allow for a lot of this style, or a much smaller number of the traditional announcements, and we went with letting more family and friends know about her accomplishment! 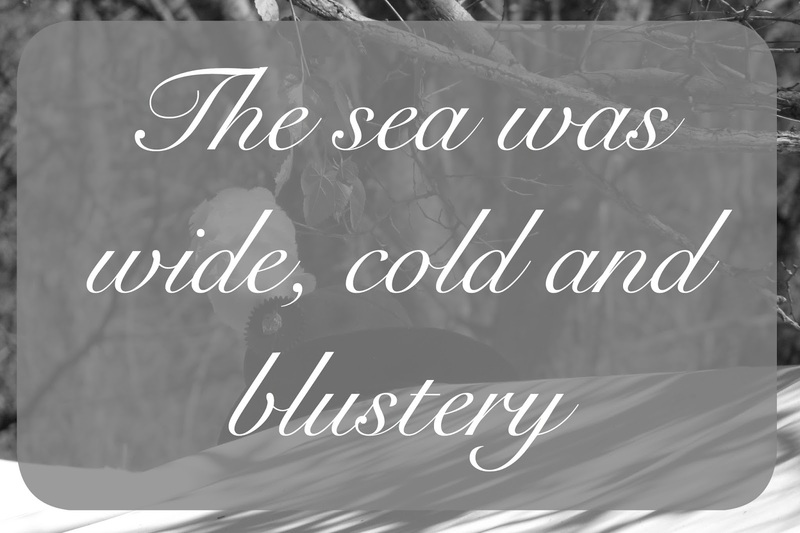 The Simple Stated announcements are available in three colors: white, black, and navy, and a variety of foil printing colors. We let Emily choose her own, and she went with Hot Pink letters on the white cards. While this is a less expensive option, it is not a cheap card. It is elegant and formal, and you can use one of their popular texts, or create it entirely on your own. 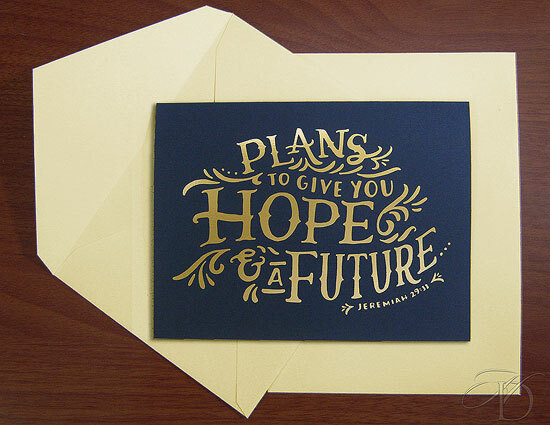 There are several fonts to choose from, so this card truly is customizable even while being easy on the budget. This card still comes with the traditional two envelopes, and can be upgraded to foil lined envelopes, just like the other styles. Recently HomeschoolDiploma.com has added a hand-lettered Hope and a Future announcement option that I think will appeal to a lot of homeschoolers. 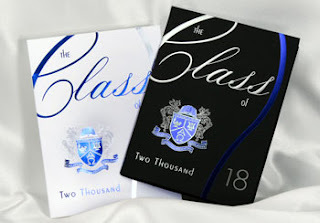 It is much less formal on the front, while still retaining the elegance of a traditional graduation announcement on the inside. HomeschoolDiploma.com has a team that is dedicated to making your graduate's day special from beginning to end. They have volume discounts available for Co-ops and Schools that want to order announcements, caps and gowns, and diplomas for the entire gradating class. Whether you are all ordering together, or individually, they will work with your group or school to get you the best products to fit your needs. Remember I said there were some steps? 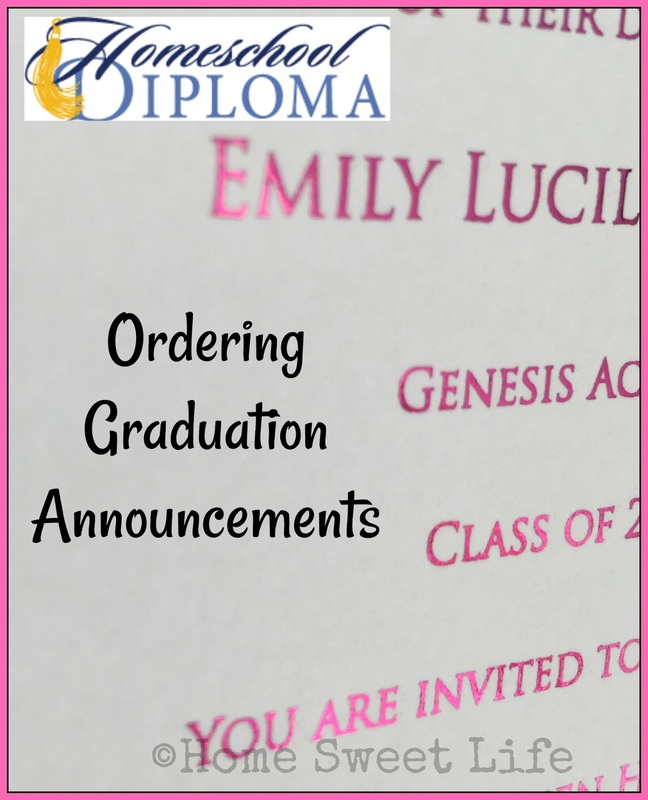 Making the list comes first, because you want to order all of your announcements at once, along with any other add-ons like foil seals, or invitation cards for the open house if you are using the formal group graduation ceremony announcements. The second step is to order the announcements. Third is gather the address of the recipients. While your teenager may just want to send a text to their best friends reminding them about her graduation party, the Grandparents and Great-aunt Jane are going to expect an announcement in the mail. You cannot mail them if you don't know where to send them. ;) Fourth is to sit down and address the invitations and mail them out. For some more thoughts on announcements, and why to send them, read this thoughtful post. 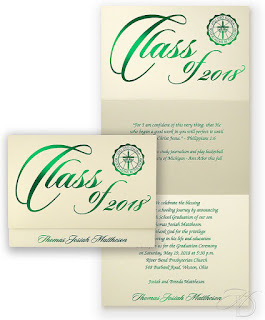 Whichever graduation announcement design you choose with your graduate, know that these announcements should bring a smile to the face of the recipients, and the event you are planning for your graduate will hold many memories for all of you! Next time, we will talk about choosing a diploma, and why you should order one for your graduate that fits their personality! Can't wait? 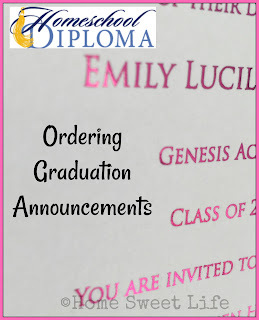 Check out this post about when we ordered Emily's diploma. I just wanted to pop in and remind you that the Fresh Start sale over at SchoolhouseTeachers.com is still going on - but it ends at midnight on January 31st, so don't miss checking it out! We like the flexibility to choose a course at random for something new and different when we get tired of our core subjects and want a change of pace. Did you know SchoolhouseTeachers.com has 147 courses for High School? That is a lot of options! As a working and homeschooling mom, I don't always have time to go find something new in the vastness of options online, but I can find something on Schoolhouseteachers.com fairly easily. Maybe though, you're just getting started with this homeschooling journey. There are 42 preschool classes to choose from. Does your preschooler need to be using this all the time - of course not. They need love, play, and for you to read to them. What comes next? SchoolhouseTeachers.com has some solid ideas. You - the mom or dad - might like some great ideas, and some encouragement along the way. SchoolhouseTeachers.com has a wide variety of choices for every age. They also have a great Literacy Center with graduated help - from pre-readers all the way through fluent readers. If SchoolhouseTeachers.com had been around when our girls were little, we would have used it. Even now, with our last one in high school we still use it. If your children are young - you are in prime spot to use Schoolhouseteachers.com well. Now, next year, and later in the future. The Fresh Start sale allows new members to join with an Ultimate Yearly membership for only $90. That's half off the regular price. Use the coupon code: NEWYEAR18 for the Yearly membership, or if, you're still not sure, check it out for a month for only $9.95 with the coupon code: MONTHNEWYEAR18. 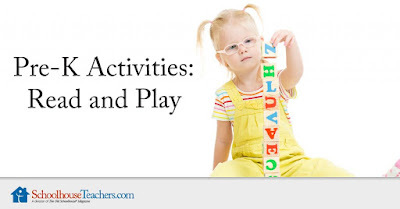 Don't delay -go find something fun to do with your children on SchoolhouseTeachers.com today! Wondering what other great resources they have for parents? Checkout our review from earlier this month. This is picture of an Alaskan Brown Bear. There is some debate in our household over whether this is actually my picture, or Arlene's. Since it was taken on my camera, and downloaded to my computer, I'm going to claim ownership and tell you about it today. Then, two Alaskan Brown Bear cubs were orphaned in Alaska in 2008 because their mother had been causing trouble - attacking people and other trouble, and the Fish and Game officials were forced to kill her to protect the people. The Indianapolis Zoo became home to this brother-sister duo and there were bears again. As the bears grew up, so did our girls. This one looks like such a fun, touchable, huggable bear - but in reality, when you see its teeth, you know it is the real thing - not a toy from FAO Schwarz. We have seen this bear dozens of times. When we moved too far away to use our membership often, my Mom got herself one and now we go with her. We still go through the Forests exhibit almost every time we visit the zoo. 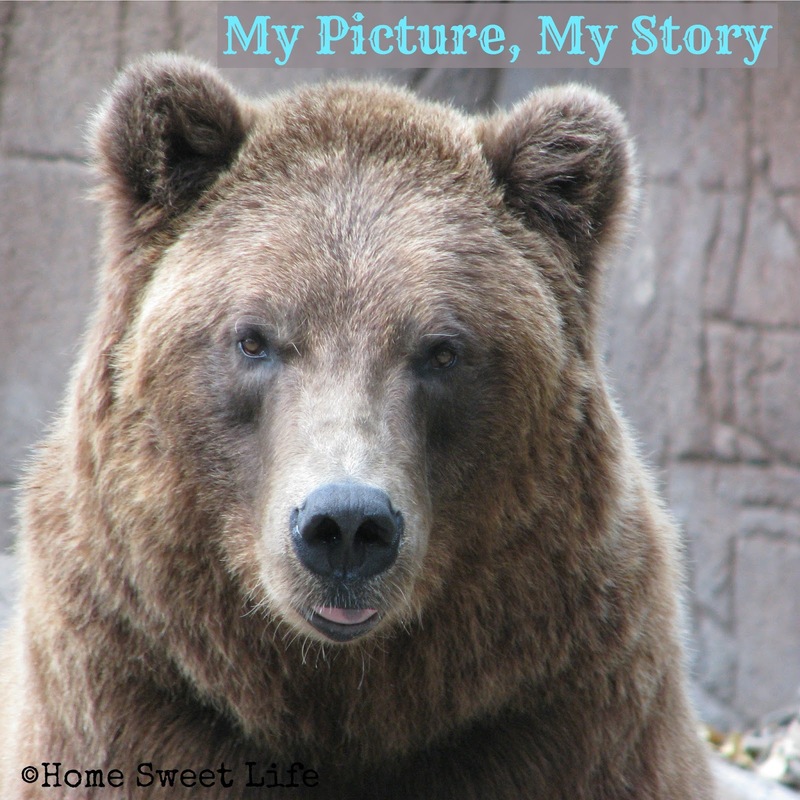 While I wish I could some day visit Alaska (in the summer), to see the wildlife, in the meantime, I'll see the bears at the zoo and be reminded that God has put some amazing creatures all around the world. When I look at this picture, it reminds me of all the happy memories I have of taking the girls to the zoo. We rarely did any of the extra educational activities while there, and I don't think the girls ever wrote a paper about what they saw at the zoo. We went because we wanted to have fun. Sometimes Daddy went with us, sometimes Grammy went, and sometimes it was just us three girls. Always, there were fun memories to be made! What is your favorite zoo to visit? Tell us in the comments below! Summary: Sherlock Holmes is 14 and getting picked up from boarding school by his brother Mycroft at the end of the school year. He learns that many changes are about to take place in his life. His father is in the British army and has been sent to India, and his mother's health is not well. So instead of having the fun summer at home that he had planned on, he is being sent to live with his estranged aunt and uncle in their home at Holmes Manner in the English countryside. Sherlock is a bit disappointed and thinks that his summer will now be quite dull, however, he finds it to be just the opposite. Upon arriving at the house he finds it run by his aunt and uncle’s housekeeper, Mrs. Eglantine, who seems a little off. Then one day while sitting and listening to the sounds of the forest, a boy named Matty, who is about his age, approaches him saying he had seen something strange. A body covered in what looked like boils. Not wanting to go to the police Matty had come to Sherlock as he looked like he might be able to find out what happened. 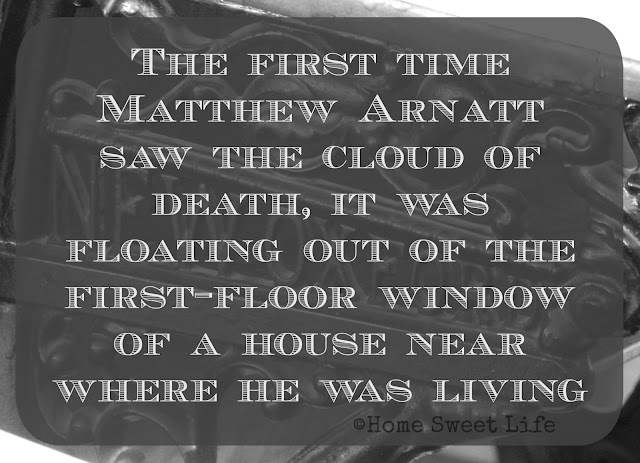 Sherlock initially doesn’t think much of what the boy says, but when he and his newly arrived American tutor Amyus Crowe find another body that looks like the one Matty told him about Sherlock becomes more curious to find out what happened. What I liked about it: I really liked the settings and the characters. Sherlock really feels like the famous Sherlock Holmes if he were that age. Not as amazing as he will eventually become, but still very good and always learning. 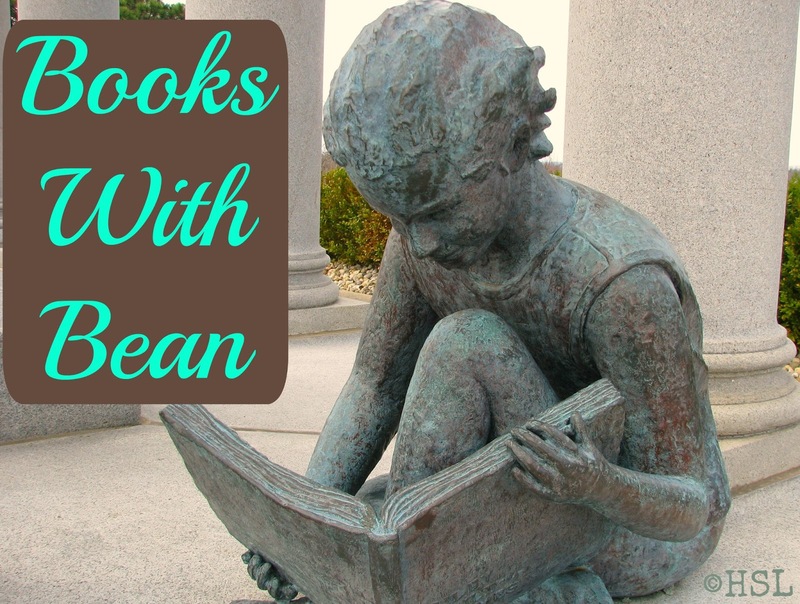 Over the books Mr. Lane has him learn things that become a part if the personality that we know as the grown up Sherlock of 221B Baker Street. Deduction, violin, marshal arts, and other things. One of the other things I liked about it is the new set of characters. One of the things all the other kid Sherlock books and movies I have seen or read try to do is add in the characters we know from Doyle’s stories to give us a sense of the familiar. Such as a young Dr. Watson and that sort of thing. Lane does not do this. He realizes that Dr. Watson and Sherlock don't meet until A Study in Scarlet and so gives Sherlock new friends and enemies to deal with which I very much enjoyed. Romance: Sherlock’s tutor has a daughter named Virginia who Sherlock finds himself attracted to but as far as actual romance they briefly share one kiss in the fourth book and that is it. Violence: There is a bit of violence and some of the villains do die but its not really graphic. There is some fighting as he follows criminals over the series. Fights with swords, bears, and sometimes just hands and fists. Recommended Age: Sherlock is 14 in the first book and I think that that is a good starting age. Note on order: There are as of right now 8 books in the series. They were originally published in England and then published here. Because of this it can be a bit hard to find copies of the later 4. The second book was published with a different title in America but it is the only one.